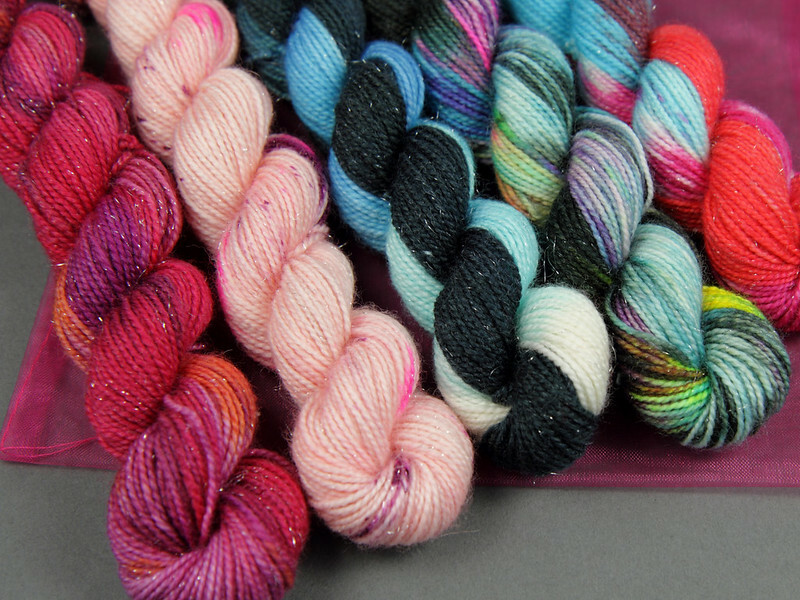 As winter draws in we’ve been very busy in the dye studio creating our biggest yarn collection so far. 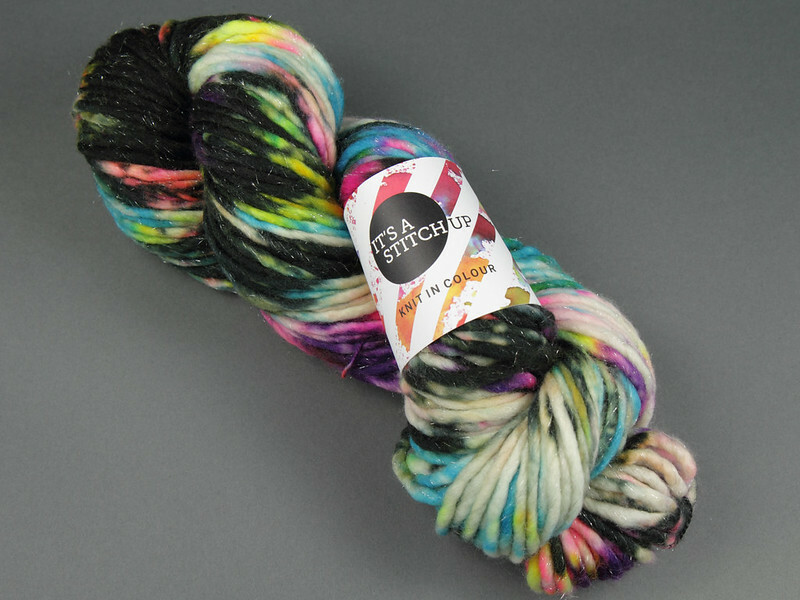 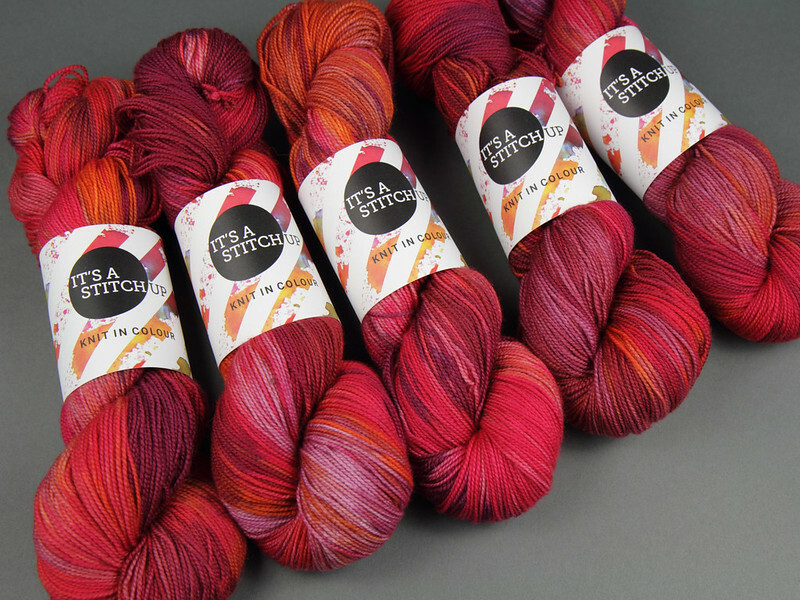 Our Japan collection spans our entire range of yarns (and some special editions!) 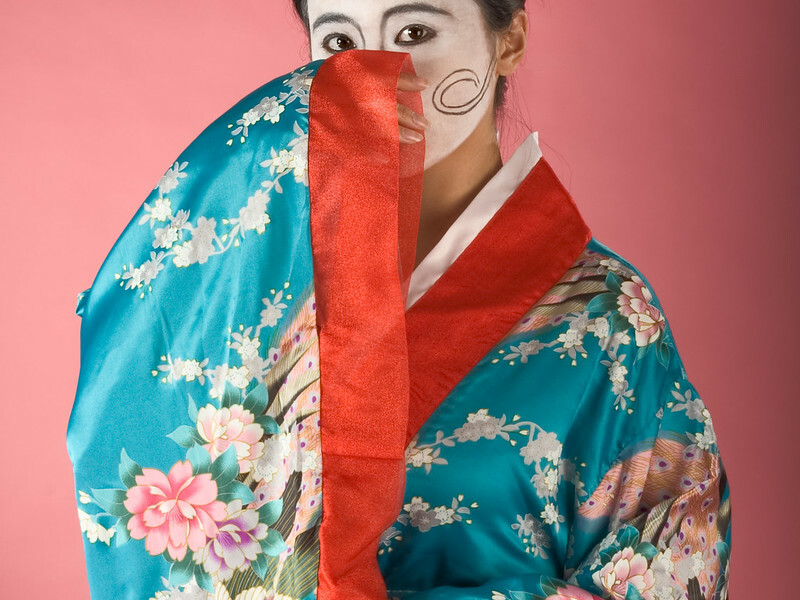 and draws inspiration from Japan’s diverse nature and culture. 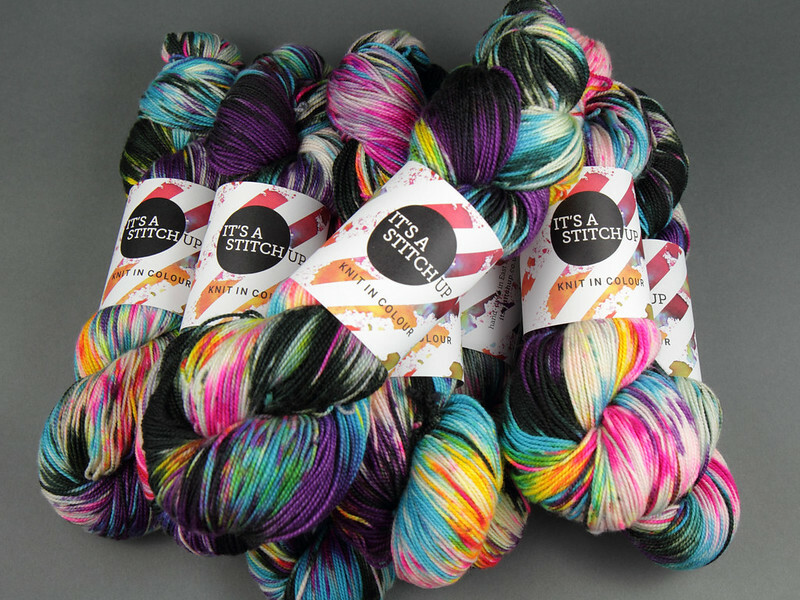 With bold dye techniques and eye catching colours, these yarns are the perfect things to brighten grey winter days. 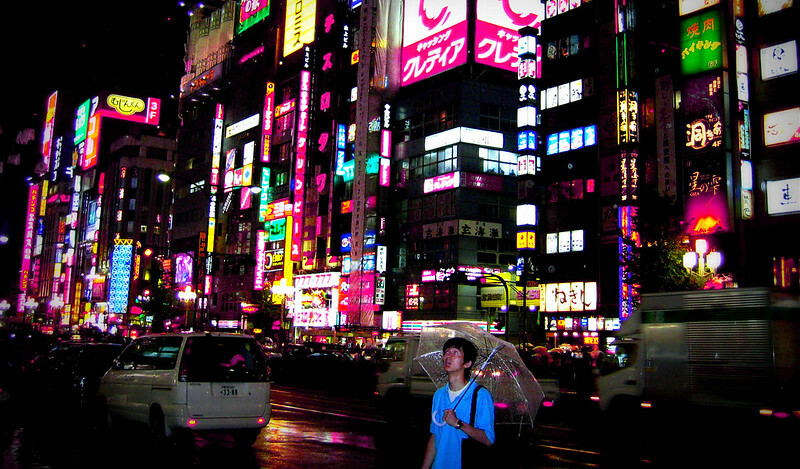 ‘Shinjuku’ features black, purple and turquoise with splashes of neon, inspired by the iconic neon signs of Kabukichō, the red light district of Shinjuku, Tokyo. 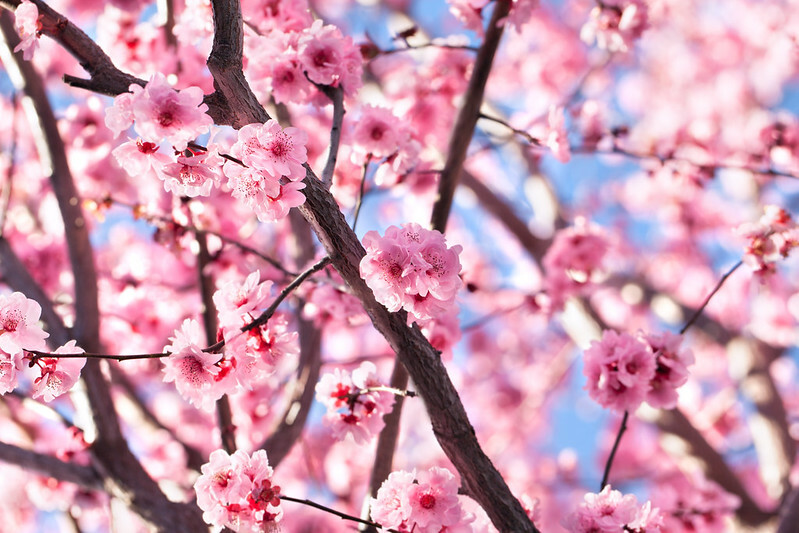 A pale pink affair with purple and neon pink speckles, inspired by Japan’s famous springtime cherry blossom. 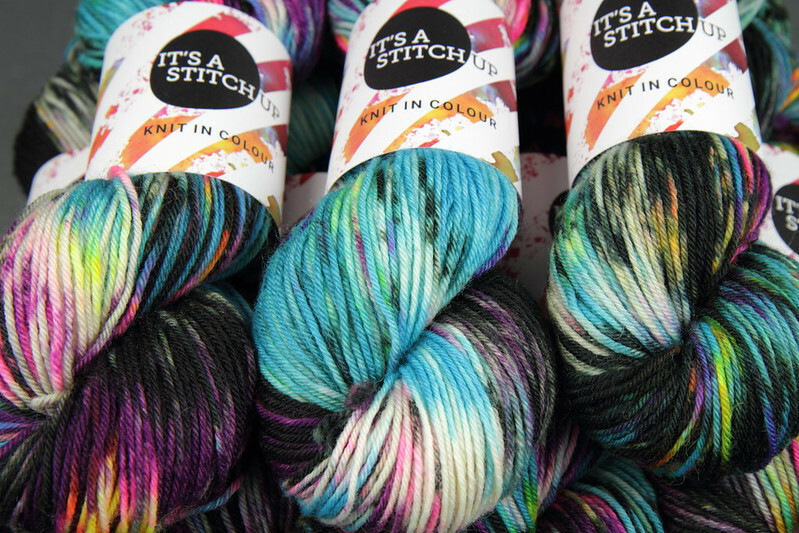 Vivid turquoise blue with splashes of scarlet and magenta, inspired by richly coloured Japanese floral silks. 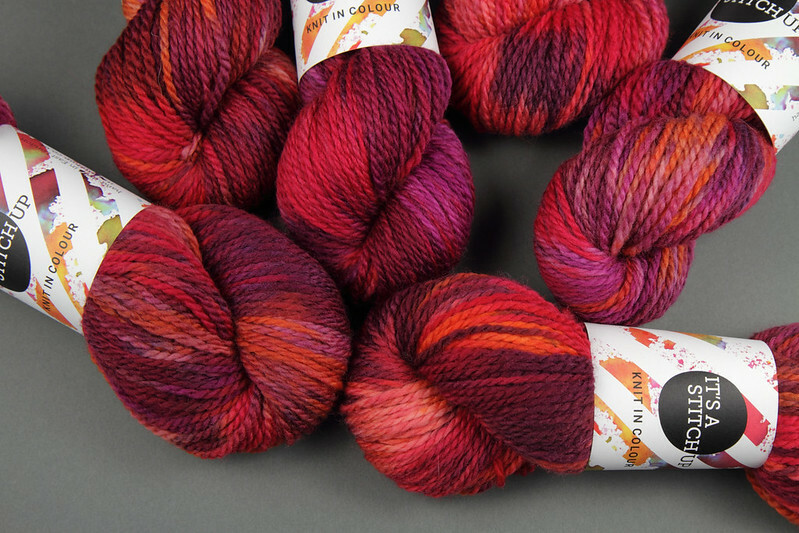 Red, purple, pink and orange tones. 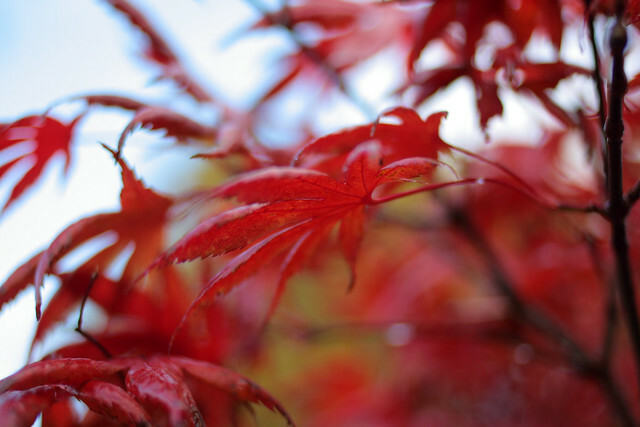 Momiji is the Japanese word for autumn foliage, specifically the Japanese Maple, which inspired this shade. 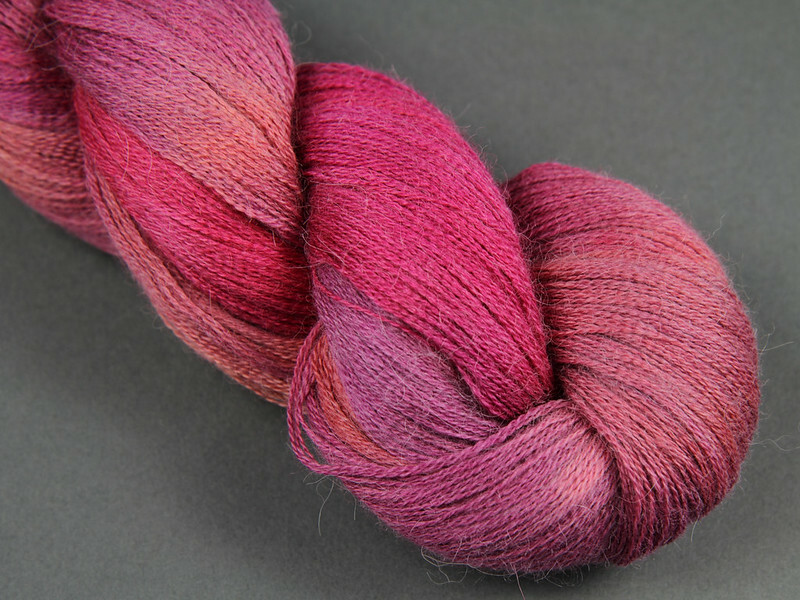 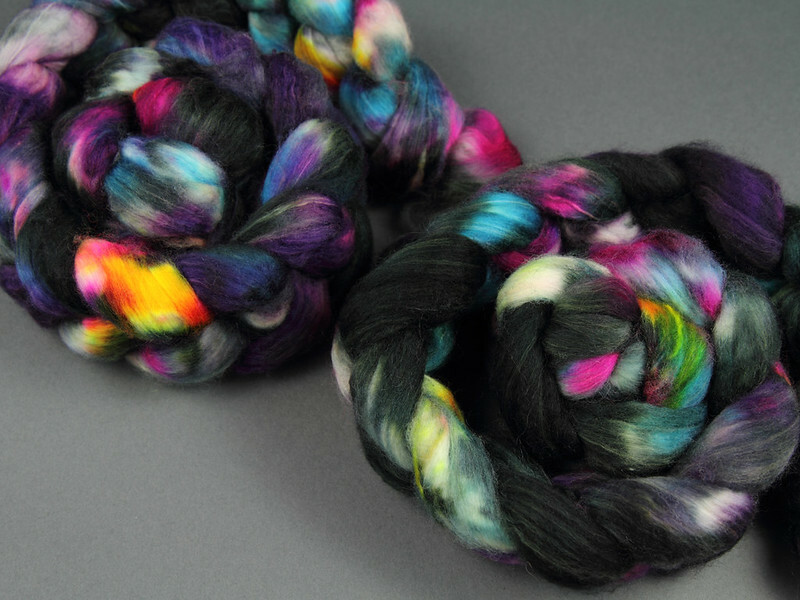 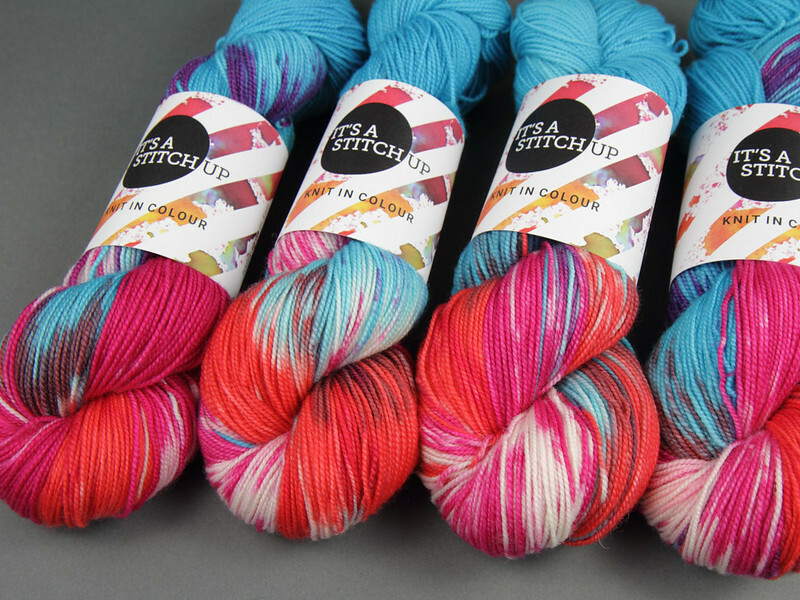 These four shades plus forthcoming shade ‘Tsunami’ are available as a pack of sparkly sock mini skeins.